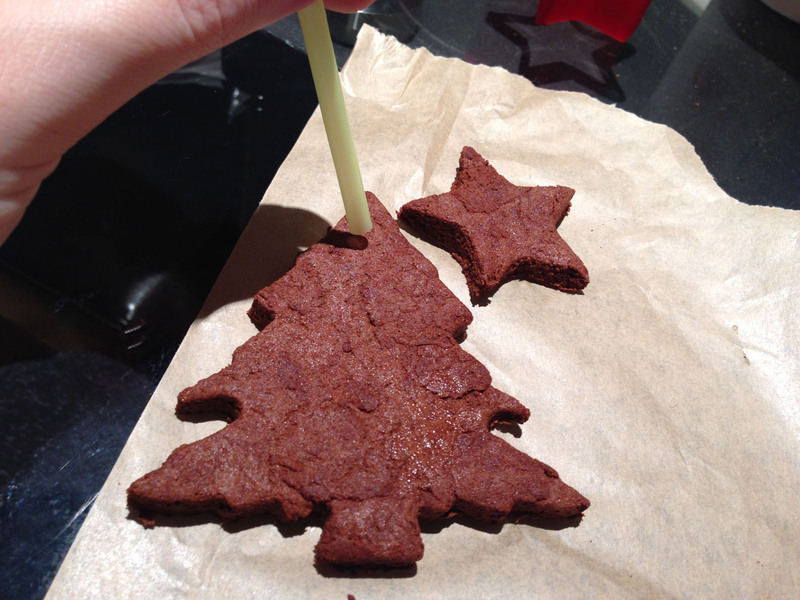 Nothing says Christmas like the smell of gingerbread. 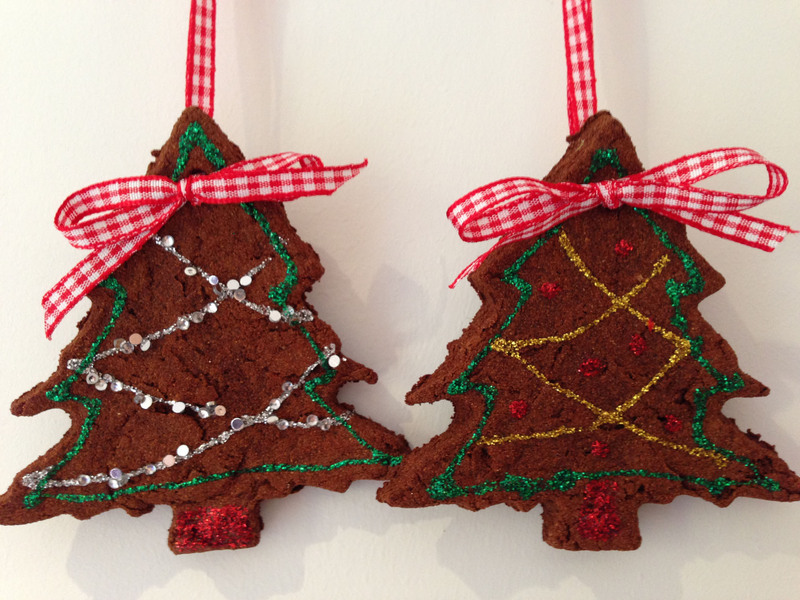 Here’s a nice little crafty project to create non-edible decorations that look and smell of gingerbread. 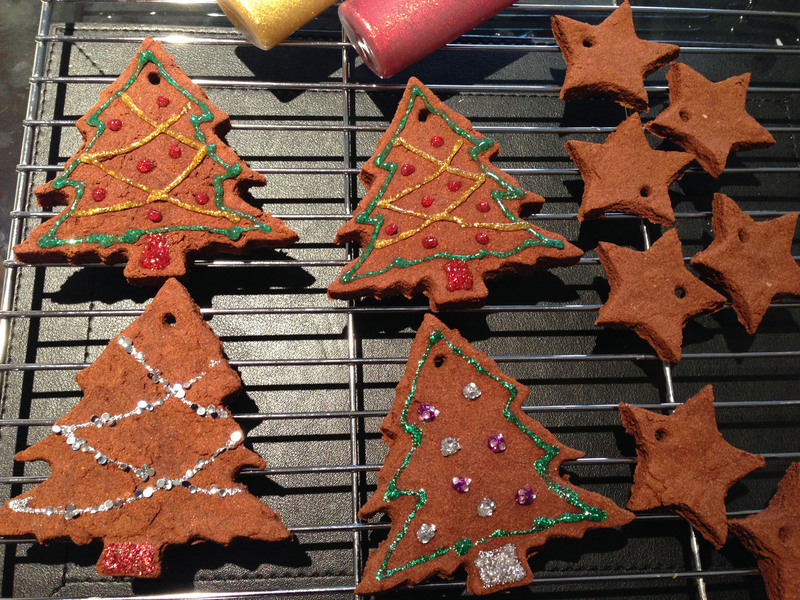 These ornaments are made of cinnamon dough, so they’re hard, non-edible and will hopefully last – and they’ll make a cute addition to my Christmas tree this year! 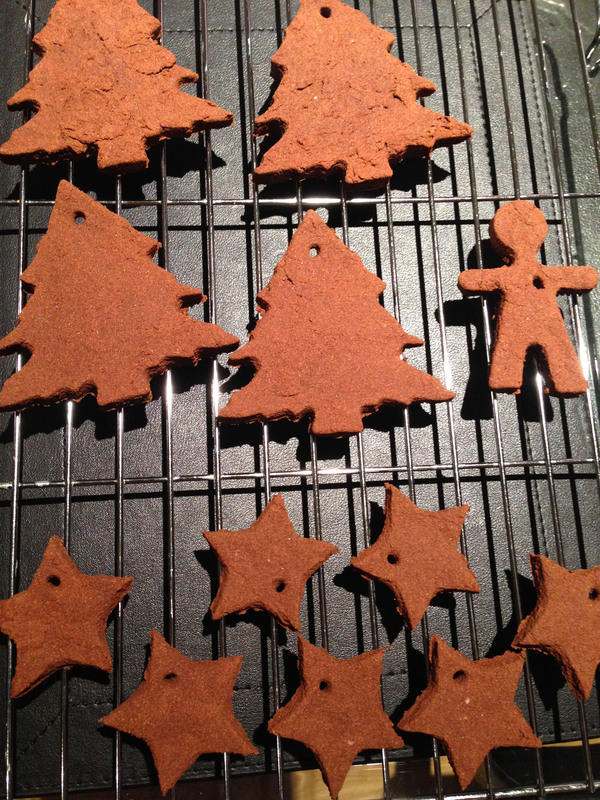 As a guide I used a full jar of Schwarz ground cinnamon to create this whole batch of decorations. 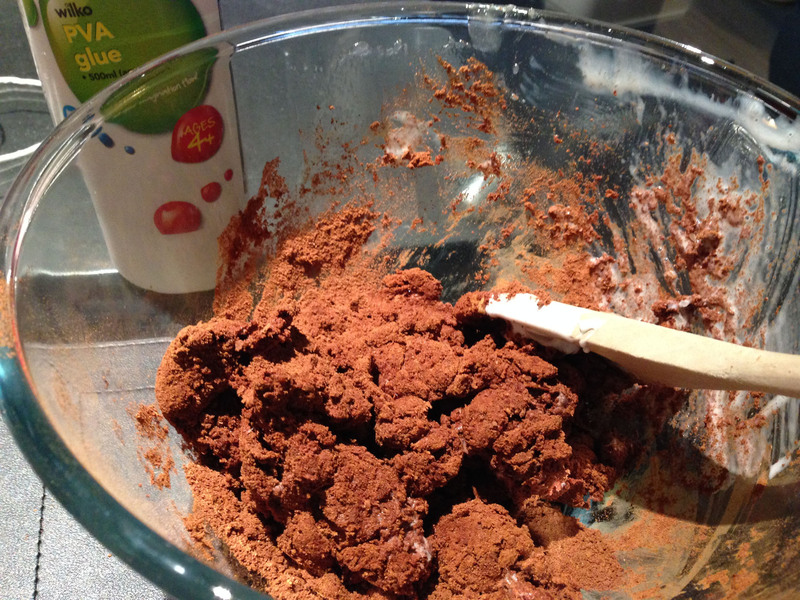 Simply mix all ingredients together into a smooth dough. It shouldn’t be too sticky or crumbly. 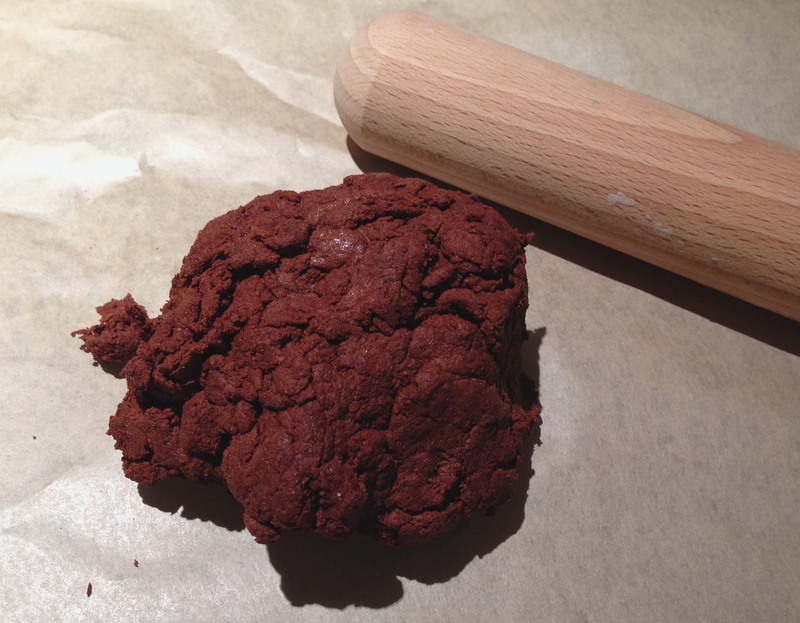 Roll out the dough using a rolling pin to the required thickness. I sprinkled a little water on mine where it was a little too crumbly. If it sticks to the rolling pin you can sprinkle on some extra cinnamon. 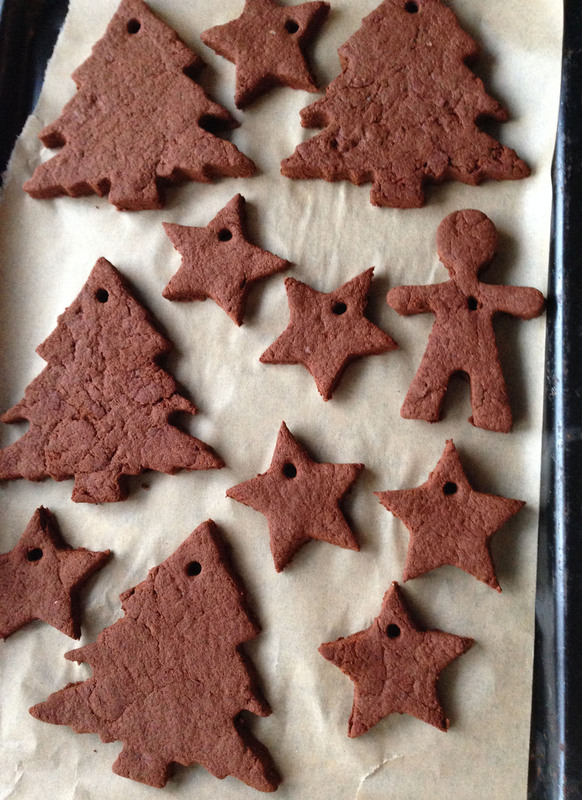 Use cookie cutters to cut out whatever shapes you like – mine are obviously Christmas shapes, but I also did a little gingerbread man as well. Use a drinking straw to cut out a hole at the top, which will be used to thread ribbon through to make it a hanging decoration. Bake in the oven at 200 degrees for 2 hours, turning once. This is to dry the dough out. Then turn out onto a wire rack to cool. I bought a selection of glitter glue pens from a cheapy shop, which worked really well, but you could use regular paints or anything you like. I also stuck on some nail art gems on a couple to add a little bit of extra sparkle. I’ve made the Christmas trees into tree decorations using some 5mm wide gingham ribbon, which looks very cute in a rustic traditional Christmas way. The rest of my shapes will be saved for gift wrap purposes, which I think will also be very cute (and which I’ll share with you once I’ve done my wrapping). And there you go! 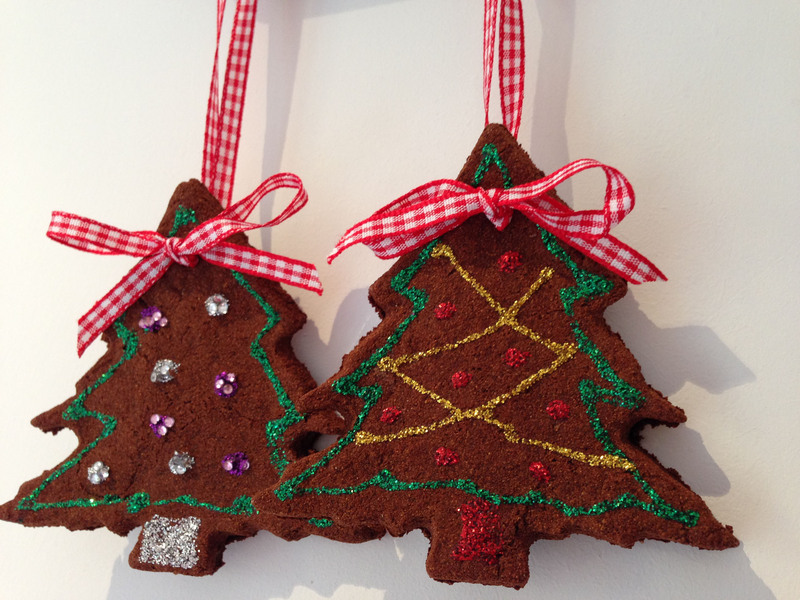 Very cute homemade decorations, which look homely and festive and smell amazing!